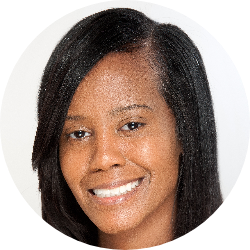 Theresa Haywood is a Realtor financial educator and business owner who's had a passion for real estate since her teenage years. She holds a Master's Degree in Business and Accounting. Being committed to education philanthropy mentoring and supporting community enrichment Theresa created a business that helps potential buyers cure personal challenges manage their finances and build credit worthiness so they can achieve their goal of obtaining their new home. As a realtor with vision Theresa shapes the home-buying/selling process to meet your needs and expectations.Theresa is also passionate about educating buyers and sellers on the real estate process. Being a homeowner herself she understands the importance of working with someone you trust and being knowledgeable about the process. Being a member of Baltimore Real Estate Investors while also working with multiple community associations and affiliating with other entrepreneurs within the industry allows Theresa to not only be able to market your property and/or find your next home efficiently.I look forward to speaking with you and assisting you with the home-buying and/or selling process.